3 Great British Baking Show Spinoffs to Watch If You’re Craving MoreHave a merry Mary Berry holiday. Why The Great British Baking Show Finally Left the Tent and Went OutsideThis season, the bakers ventured into the great outdoors for a “campfire pita bread” technical challenge. Salt Fat Acid Heat Actually Wants You to CookThe Netflix docuseries is a joyful revolution in the world of highbrow foodie shows. Thank Goodness, The Great British Baking Show Is BackYes, the new season aired in the U.K. back in 2012. Who cares? Just let its gentleness wash over you. 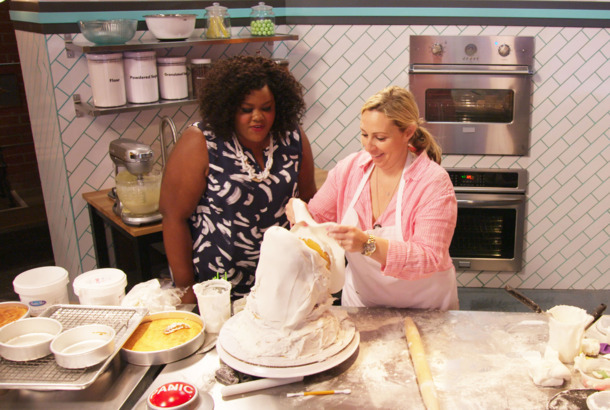 Nailed It Is the Cooking Show You Did Not Know You NeededThis Netflix series, hosted by Nicole Byer, finds the positive in total baking fails. Noel Fielding and Sandi Toksvig Are Your New Great British Bake Off HostsNow that’s casting. TV Cook Sandra Lee Reacts to Her Own Revolting CocktailEven she can only go so far down the road of feigned enjoyment.